What does it take to deliver annual growth rates of 45 percent or more? A three-year-growth rate in the 200% range? The leadership team at Durante Rentals credits people, locations, relationships and product knowledge - key aspects for any rental center. And they're right, every one of those elements, carefully selected and intelligently guided, support strong, rapid growth. Sometimes, though, when you walk through a business' doorway, it's what you see and sense that tells the story. At Durante Rentals, the "story" is energy, hustle, chemistry and trust in a group of people who work hard, stay positive, have fun and focus on a common goal: Making Durante Rentals the most successful rental business in the New York City Area. Read the entire article. 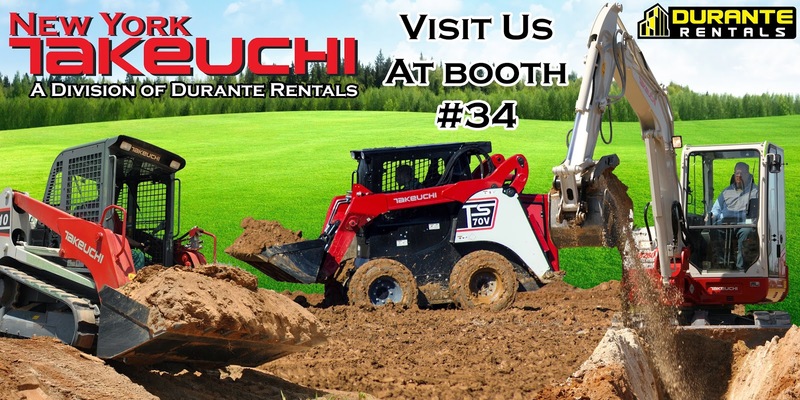 NEW YORK, January 12, 2015 – Durante Rentals and New York Takeuchi, a division of Durante Rentals, will be exhibiting in booth #34 at the 47th Professional Turf and Landscape Conference & Trade Show on January 14th. Sponsored by the New York State Turf and Landscape Association, the show is being held at the Empire City Casino and Raceway at 810 Yonkers Ave in Yonkers, NY from 8am to 5pm. Durante Rentals will be promoting their full line of landscaping tools and equipment including wood chippers, string trimmers, leaf blowers, tillers, stump grinders, overseeders, chainsaws and more. New York Takeuchi will be showcasing its line of earthmoving equipment and will have excavators and skid steer loaders on hand outside near the main entrance. Attendees are encouraged to take an up-close look at these powerful, rugged and reliable machines and to take advantage of special show pricing. There will also be special raffles and giveaways throughout the day long event. Tickets are $150 at the door for non-NYSTLA members and $125 for NYSTLA members which includes access to continuing education classes sponsored by Cornell Cooperative Extension, PLANET, NYS DEC, NJ DEP, CT DEEP and ISA. Attendees can earn 5 ISA CEU’s, 4 L/A credits, NJ DEP units and 5 approved NYS DEC (CT) re-certification credits. Some of the courses being offered are: Managing Difficult to Control Turf Weeds, Invasive Pest Update, DEC Regulatory Review and Field Diagnosis of Turf Problems. Trade show only tickets are $25. All attendees will receive a $10 food and $10 play voucher to be used anywhere in the casino. 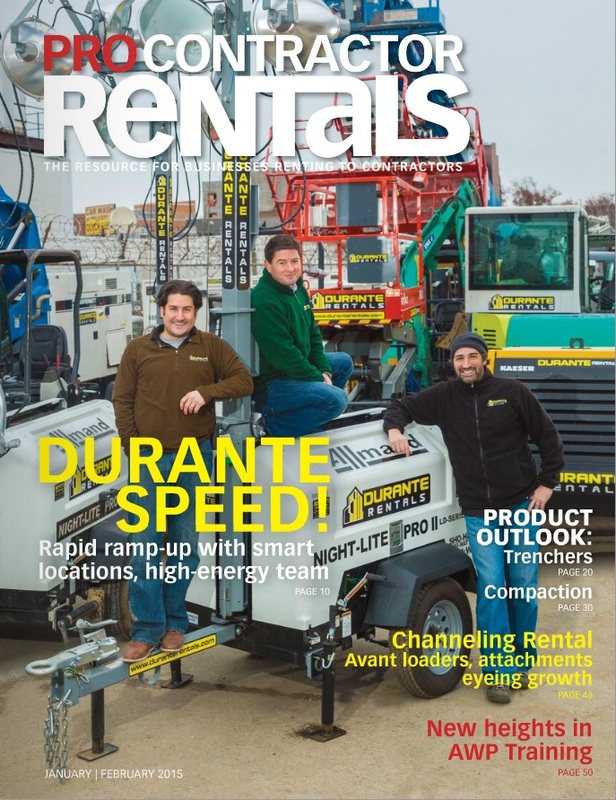 Founded in 2009 by three entrepreneurs, Durante Rentals is the most trusted name in construction equipment and tool rentals in New York with locations in Elmsford, Mt. Vernon, Queens and the Bronx. With the core values of Speed, Convenience and Culture, landscapers and general contractors alike look to Durante for all their landscaping needs as well as construction equipment needs including excavators, skid steers, light towers, generators, compressors, forklifts, air tools, boom lifts and more. Durante Rentals services all five boroughs of NYC, Westchester, Rockland County, Connecticut and New Jersey. For more information about Durante Rentals, visit www.DuranteRentals.com. New York Takeuchi is an authorized dealer for the New York City, Westchester and Rockland County area. They specialize in sales, rentals, service and parts for the full Takeuchi fleet of machines including track loaders, wheel loaders, skid steers, and mini excavators. New York Takeuchi is a division of Durante Rentals. For more information, visit www.nytakeuchi.com. The New York State Turf and Landscape Association is a not-for-profit organization. Their purpose is to promote professionalism in the Green Industry through continuing education. For more information, visit them at www.nystla.com.